If you are not using the element of story in your email marketing you are missing out. To understand the reason why story can be so powerful in marketing, let’s look at a real-life example. Amber and Jerry own a small bed and breakfast in Vermont and until the 2008 financial crisis it had done quite well. In the aftermath of the crisis they started to get cancellations for the 2008 holiday season. At first there were just a couple of cancellations but soon they snowballed into an avalanche. In fact, they lost 83% of their reservations in less than two weeks. Out of sheer desperation, Amber decided to try a creative email campaign to attract guests. She knew that if that campaign didn’t succeed, she and Jerry would lose the bed and breakfast within 90 days. Not only would they lose the business they’d run for 27 years, but their life savings, too. Now, imagine that you own or manage a bed and breakfast business and you just read that story in an email newsletter. Wouldn’t you be curious to know what happened next? Did Amber’s email campaign save their business? If it did save the business, wouldn’t you want to know why the campaign was so effective? What if the newsletter promised to reveal the answers in an upcoming issue? If the story resonated with you, the odds are that you would eagerly await the next issue. The right story told to the right audience can boost engagement and conversion like crazy. The facts of Amber and Jerry’s bed and breakfast email promotion could have been relayed in a dry, boring fashion and lacked the same conversion power. The reason why is the power of story. In fact, Amber’s email campaign was a success because she used story to capture the imagination of their subscribers and they did indeed fill up for the season. There are many reasons story can be incredibly powerful when used in marketing. Appeal: People like stories a lot more than regular marketing messages. The vast wealth and power in television and Hollywood is proof enough that people around the world pay good money to be entertained by stories. When you add a story element to your email campaigns, your subscribers will have a greater interest in reading them. Suspend disbelief: We are conditioned to shift out of a rational and critical thinking mode when we’re told a story. If told well, we’ll sit through the most outlandish stories because we want to find out what happens to the characters involved. Since credibility and belief are key elements of effective marketing, using story can boost conversions by allowing the audience to be less critical. Curiosity: Capturing the attention of your subscribers is one of the biggest challenges to email marketing. One way to increase engagement and conversions is to use curiosity. Television shows and movies are famous for leaving their audience with a cliff hanger ending to encourage them to watch the next episode or sequel. It is the power of curiosity more of than the quality of the story that brings the audience back. Emotional connection: Stories bring out emotions and engage an audience when done well. The viewer can relate to the characters in the story and can feel empathy, sympathy, loyalty, and those emotions can create a bond and a level of engagement that regular marketing cannot. Trust: Stories have the power to build trust because the audience gets to know who they are and what they stand for. Stories have been used in all cultures from the before the beginning of civilization to connect generations and pass on lessons and lore. Human beings are literally wired to respond to stories to this day. 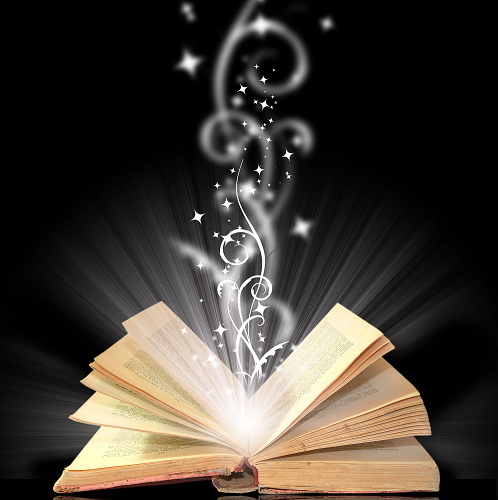 How can story be applied to marketing? While telling good stories can be more art than science, the good news is that there are familiar story archetypes that can be adapted to your marketing. Success story: Customer testimonials and case studies are success stories. Told from the perspective of a customer, these can be a powerful way to help your marketing be more relatable. Your prospects can read about a success story and identify with the customer because they may have a lot in common.In a different way, your own story of using your product can be a success story as well. It doesn’t have the same perceived objectivity as a customer’s story, but it can help you bond with your prospect because it helps them to get to know you and your product in the context of a story. Cautionary tale: A lot of insurance company advertisements use the cautionary tale. In other words, they show some poor guy or gal watching their car get smashed by a falling piano and the not so subtle warning to the viewer is that if you don’t have insurance you’re exposed to risk. The insurance agent in these ads, like the famous Flo character in Progressive commercials, is presented as the hero who saves people money while protecting them from loss. Similarly, if you’ve ever heard a life insurance pitch, you’re familiar with the cautionary tale of what happened to some family when the breadwinner died without coverage. Parable: We all know famous parables like the Tortoise and the Hare. These are a form of cautionary tale except that instead of using a real story they rely on fictional characters. The message of slow and steady wins the race has been used to sell long term investments where the foolish hare who seeks fast gains loses out to the savvy Tortoise who invested wisely for the future. The power of parables is that they borrow a cultural credibility because so many people grew up hearing them in different forms, whether in kids’ books or in movies or stories told at bed time. Underdog: Everyone loves to root for the underdog. Whether it’s Luke Skywalker in Star Wars, Jack Bauer in the television series ‘24’, or the biblical David versus Goliath, the underdog captures our imagination. Similarly, the story of the scrappy Apple Computer going up against the IBM PC and Microsoft or Avis competing proudly as ‘We’re number two, we try harder’ against Hertz, are compelling marketing stories. The opening story about Amber and Jerry was an underdog story. Origin Story: Smart companies use their origin stories to their advantage. Henry Ford revolutionized the car industry with the Model T. Apple was born in a garage. Domino’s pizza was founded on the 30 minute delivery guarantee. Because almost all business success involves hard work and some luck, there is almost always a story you can use in your marketing. When it comes to email marketing, you can use stories to sell your products or even affiliate products. You can talk about the problems that the product solves in story terms. You can also use a story to open your email and tie that into a promotion at the end. For example, Amber used this technique to build up interest for last minute reservations for their bed and breakfast. She used the backdrop of the financial crisis to tell stories of how her father had brought her and her brothers and sisters to live in the country when times got tough. The stories she shared were about the importance of creating family memories, no matter what was happening in the outside world. She pointed out that we can’t control the economy or the craziness in Washington, D.C, but we can create memories. Of course, a nice holiday get away at a bed and breakfast was a perfect opportunity to create some memories. Her story resonated so well because many people were genuinely alarmed at the time and a getaway to a peaceful bed and breakfast was therefore very appealing. Whether you use stories from customer testimonials, your own company origin story, or parables, you can capture the imagination of your email subscribes by using story in your marketing. At the very least, your emails will stand out from all the other messages in your subscriber’s inboxes. This information has been provided by http://www.EmailDelivered.com and written by Heather Seitz. To learn more about using stories to sell in your email marketing, and other helpful email marketing and deliverability tips, visit: http://www.emaildelivered.com/sell-like-crazy-in-your-email-marketing. Don’t forget to sign up for the EmailDelivered Pulse newsletter for articles, tips, and recommended resources related to email marketing and email deliverability.